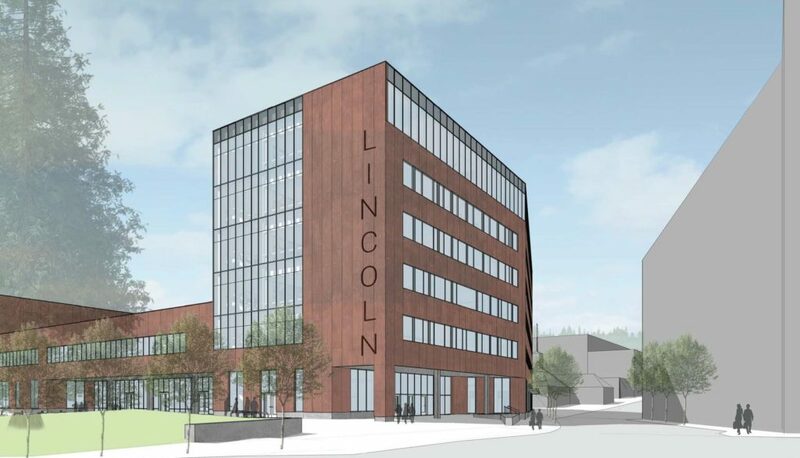 The new Lincoln High School, as presented to the Design Commission at a Design Advice Request meeting held on February 7th, 2019. The new school will be built at the west end of the campus, enabling the existing building to remain in use during construction. Every week, the Bureau of Development Services publishes lists of Early Assistance applications, Land Use Reviews and Building Permits processed in the previous week. We publish the highlights. This post covers February 11th to February 17th, 2019. 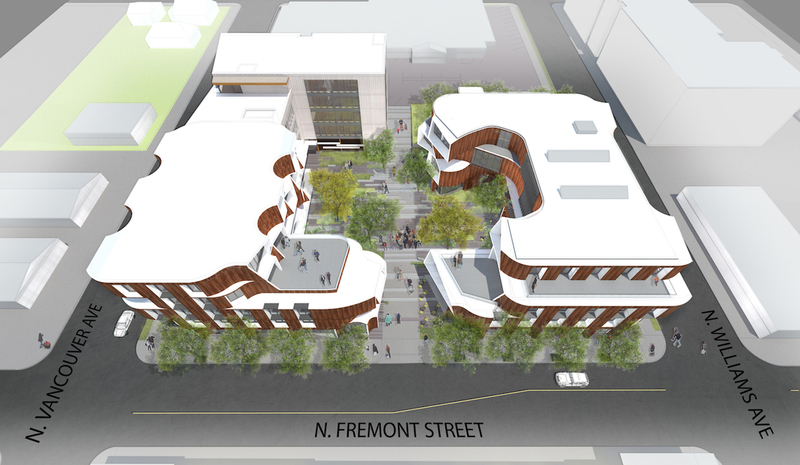 A new 16 unit, 3 stories high market rate residential building is proposed. New building will replace the existing house. There will be (11) one bedroom and (5) two bedroom units. No car parking will be provided. Drywell located in Community room, will be used to treat stormwater. Community design standards will be used (33.218.110). 18 unit apartment building (11,180 GSF) with drywell. Meeting community design standards. Expansion of existing Terwilliger Plaza campus to this location. Full block redevelopment with approximately 130 new independent living units. 2 new apartment buildings, 4 plex each. New pedestrian corridor: Stairs connecting Barbur Blvd and SW 2nd Ave. Buildings have flow through planters with discharge to public combo sewer. Lincoln High School replacement. Modifications for Building Line standards, Transit Street Main Enterance, Ecoroof & Bicycle Parking. 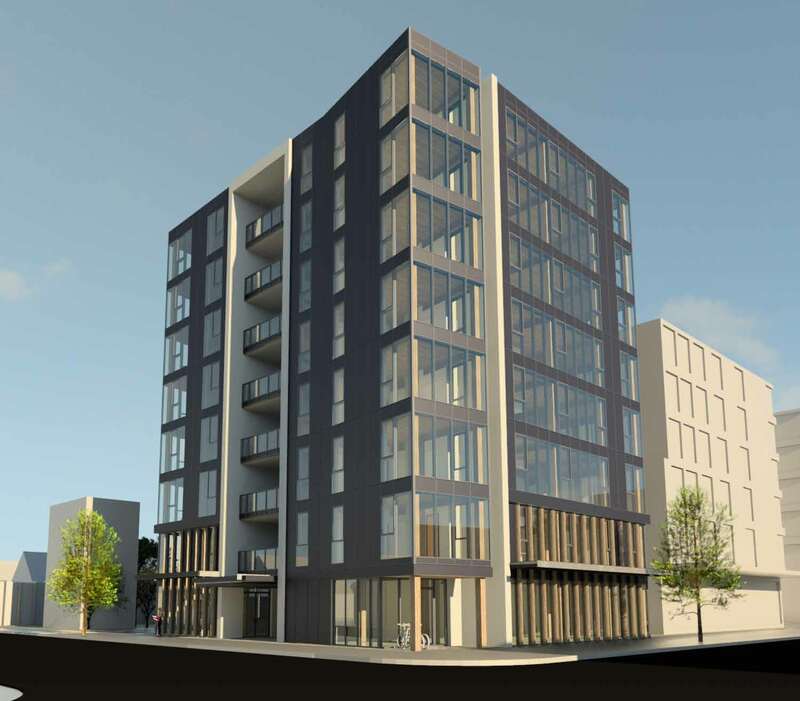 New 6 story CLT, 70 unit multifamily apartment building with ground floor to include retail and work spaces; basement to include amenities and parking; with associated sitework *separate MT and demo permit reqd septic decommissioning required. call for inspection 842. 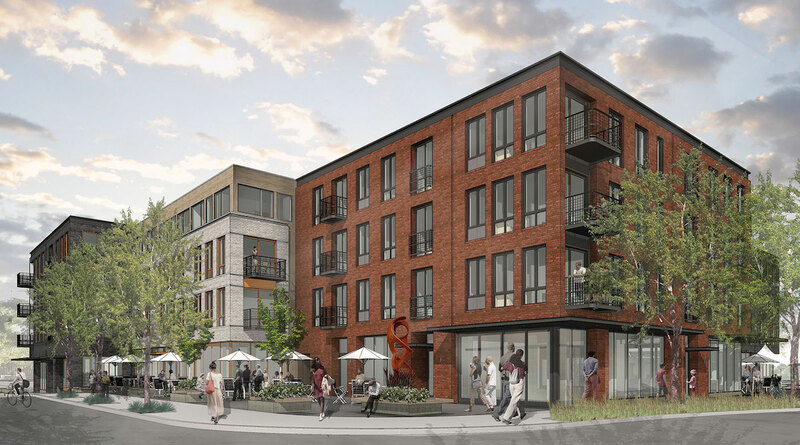 A building permit is under review for The Canyons, a 70-unit senior housing concept that intends to builds partnerships with local businesses, makes it easier for residents to age in place. Every week, the Bureau of Development Services publishes lists of Early Assistance applications, Land Use Reviews and Building Permits processed in the previous week. We publish the highlights. This post covers April 2nd to April 8th, 2018. Construction of 7-story, mixed use (144 unit) apartment building and commercial development. Two modifications requested. One is for the ground floor window standard and the other for the ground floor active use standard. 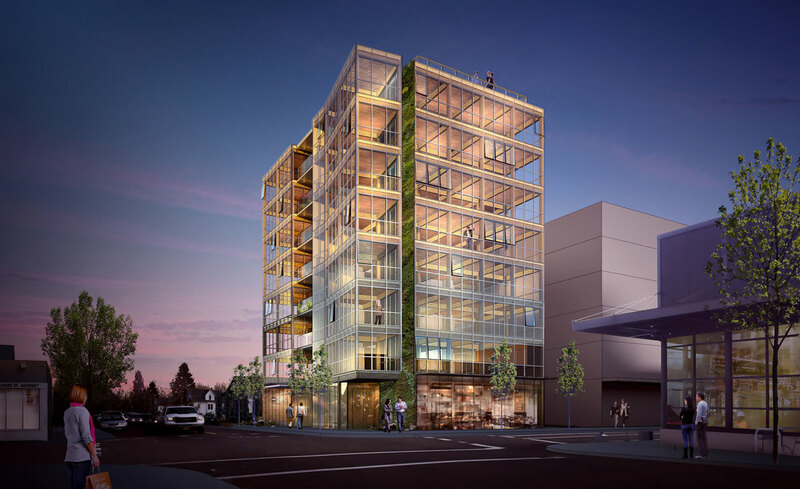 A foundation permit was issued for Carbon12, which will be the first Cross Laminated Timber building in the USA to reach 8 stories. New 3 story res building- 12 units. The applicant’s intention is to meet community design standards. 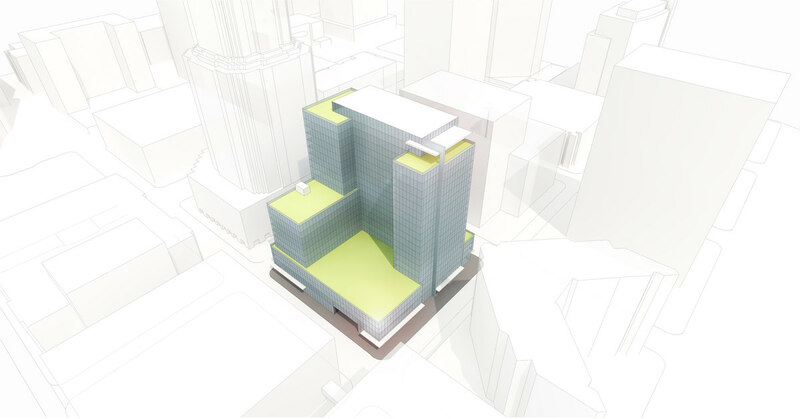 Pre-Application Conference to discuss a Type III Design Review and possible Type III Central City Parking Review for a new 17-story mixed use building with ground-floor retail and approximately 100,000 square feet of Office floor area and approx. 200,000 square feet of Residential floor area (estimated 220 units). Below-grade parking will be provided, with approx. 180 spaces that will serve both the residential and office uses. 280 unit 16 story building with market rate apartments and ground floor retail. Basement parking is included. 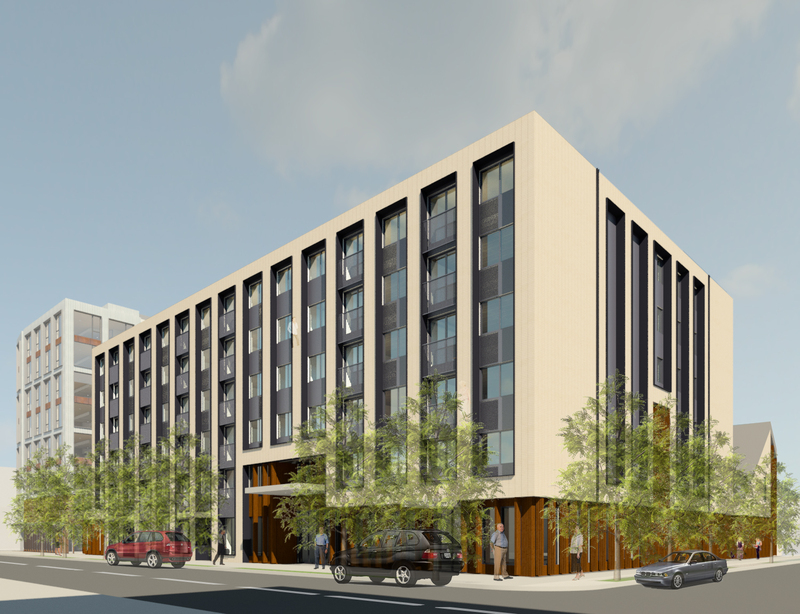 10-story mixed-use apartments including approximately 150 residential units and two levels of below grade parking. Proposal is for a 16 story high rise residential project. Designs have been approved for Carbon12, an 8 story building planned for N Williams Avenue. The designers of the project, PATH Architecture, expect that the 85′ tall structure will be the first tall building in the USA built using Cross-laminated Timber (CLT) as its structural system. The building will include 14 residential condominium units, as well as two ground floor retail units. With floorplates much skinnier than is typical in multifamily buildings Carbon12 will include only two residential units per floor. 22 parking spaces will be provided in a below grade mechanized parking system. Eight story mixed use building with 22-24 parking spaces with two ground floor retail units and 14 residential condominiums. The roof will also have a roof deck for the top two units. Demo of exising structure for development of 4 story mixed use development including 57 living units and 55-62 parking spaces. Historic resource review with 6 modifications. 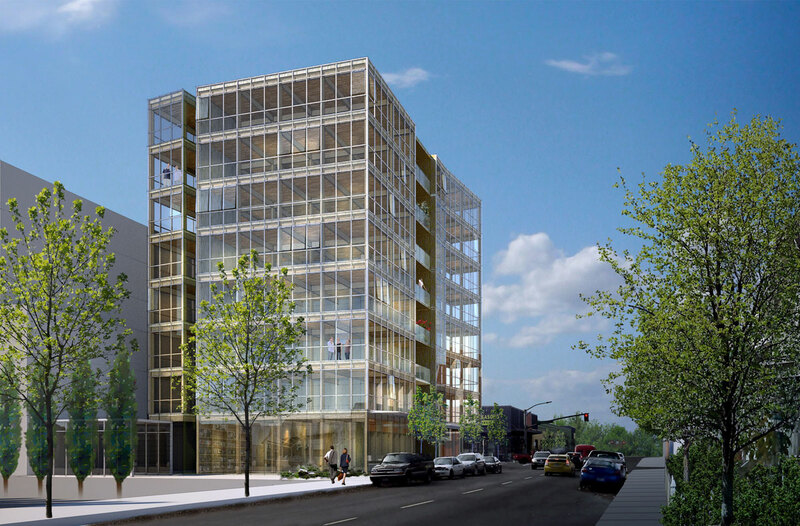 Design Advice has been requested for Carbon12, an 8 story building proposed on N Williams Ave. 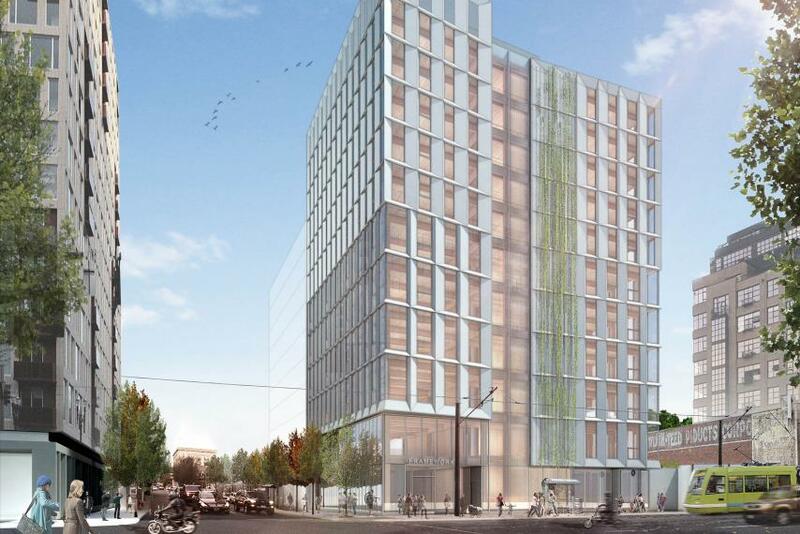 The project will be the tallest wood building in Portland, with a structural system comprised of glulam columns and beams, with Cross Laminated Timber (CLT) floor decking and shear walls. The project is being designed by PATH Architecture and developed by Kaiser Group, both owned by Ben Kaiser. One North, a collection of 3 office buildings around a shared courtyard, is currently under construction on N Fremont between N Williams and N Vancouver. The project is a collaboration between different architects, developers and contractors. Located one block north of New Seasons, the buildings will reuse waste heat from the store.